Wow, looks almost heavenly, if you believe in that kind of thing! Fabulous picture - very atmospheric! 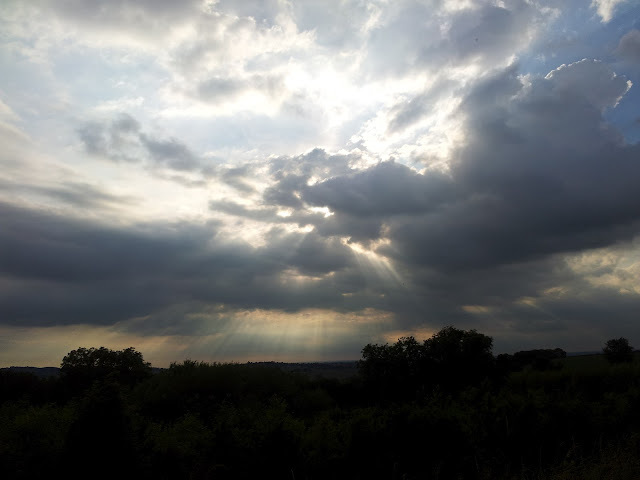 Fab photo, very moody and dramatic.Did the heaven's open after you took it? The sun rays shining through the clouds are just beautiful. I think we have had a week of those skies! glorious photo, looks a bit angelic.